Beautiful Colonial for Sale in Pewaukee,WI! You will love this beautiful colonial offering 3 bedrooms plus Den/playroom.The elegant kitchen offers newer stainless steel appliances, granite counter-tops and breakfast bar. Relax by the natural fireplace in the cozy living rm or entertain on the huge deck overlooking a wide open common space. Plenty of storage in the large laundry room/mud room makes it convenient when coming in from outdoors, right off the garage entrance. Basement is partially finished for added livable space, complete with radon mitigation system. Situated in a friendly subdivision with sidewalks to parks and shops. Be apart of the Award winning Pewaukee School. 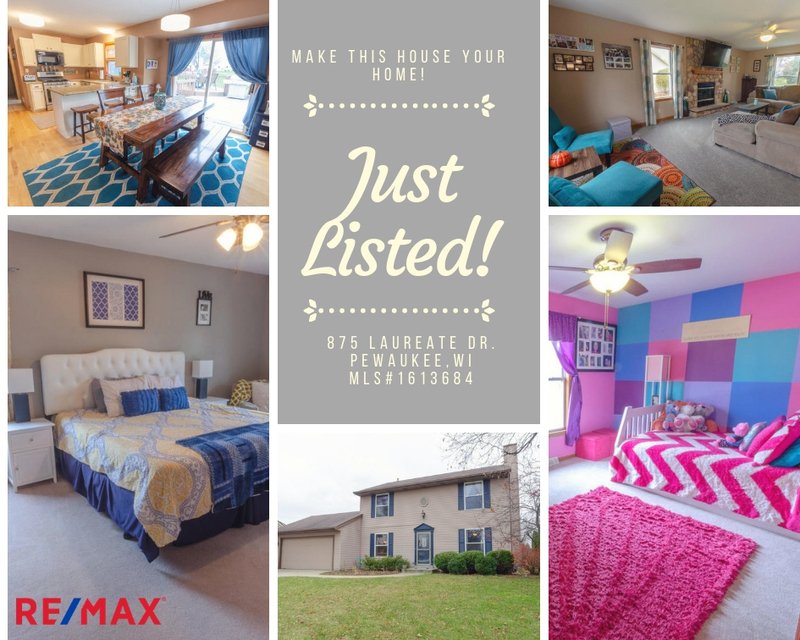 Come take a look around ,fall in love and make this house your home! Click Here for Tour of Home! For your Private Showing or More information Contact Jodi Toebe RE/MAX Realty Center at 262-352-0484!